Article by Kathy Root Pitts, photographs by Bill Pitts unless otherwise noted. This species of tree witnessed the rule of the dinosaur and has been manipulated by the hand of man for hundreds of years. 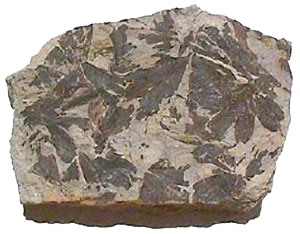 According to Mississippi State Horticulturist Norman Winter, the ginkgo, although an import from the Far East, is native to North America as shown in the fossil record. Photographed at right by D. Lloyd from the Jurassic Cloughton Formation found in Scarborough, Yorkshire, England are fossil leaves from a Ginkgo more than 150 million years old, showing multiple leaves in a matrix measuring 4 x 2.75 inches (10 x 7 cm). The Ginkgo Tree, also known as Maidenhair is, according to Wikapedia, without living relatives, and is �one of the best known examples of a living fossil.� 270,000,000 years old fossils have been discovered that are related to the present-day ginkgo. 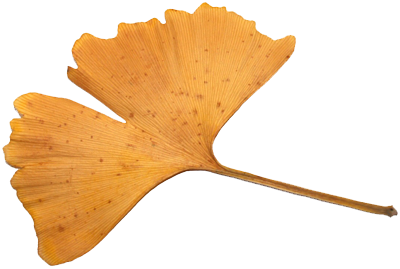 It is thought that the ginkgo almost completely vanished from the Northern Hemisphere toward the end of the Pliocene Era, and survived almost totally in the Southern Hemisphere. 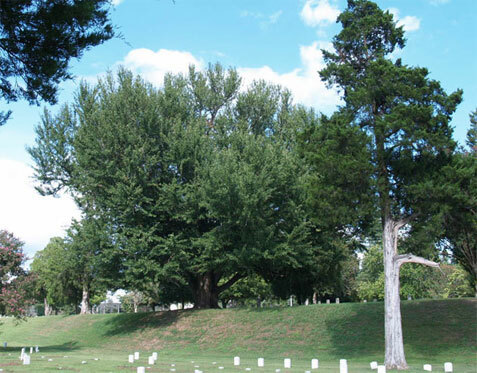 This Ginkgo tree (left) found in the Vicksburg National Cemetary in the Vicksburg National Military Park is an impressive example of the species. 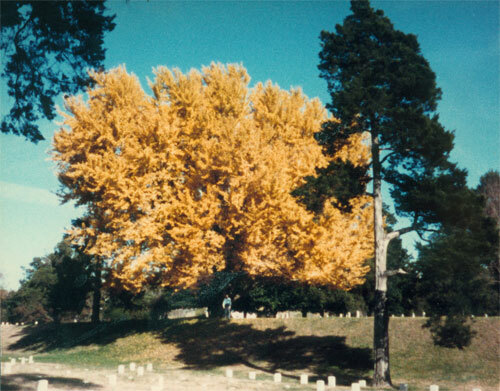 In the fall, it becomes a glorious blaze of yellow as seen in this photo (below) taken in 1986 by Dorothy Root. The Ginkgo is able to live an extremely long time. 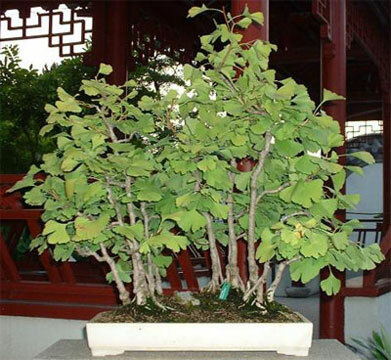 There are specimens of the ginkgo that are as old as 2,500 years, and one in China reported to be 3,000 years old. 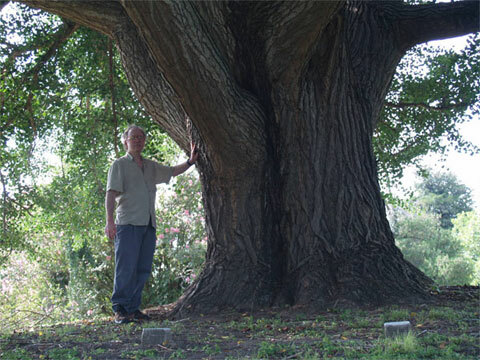 This particular ginkgo tree was in existence 1,000 years before Christ walked the Earth. This massive trunk (above left) bears testimony to the great age of the Ginkgo shown at the top of this page. It is quite possibe that this Ginkgo witnessed the fighting in Vicksburg during the Civil War. A group of Ginkgo grown as penjing, or Chinese tray scenery, at the Montreal botanical gardens stands approximately 18 inches tall (above right, photographed by Aarchiba). 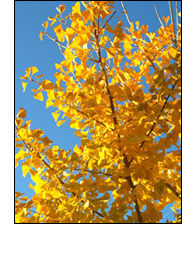 One of Mississippi�s most striking specimens of the ginkgo, featured on this page, can be found in the Vicksburg National Cemetery in the Vicksburg National Military Park. In the fall, this huge tree turns a brilliant yellow. It is a stunning sight in contrast to the stark headstones on this green, hilly field. This tree was most certainly witness to the Civil War as it played out in Vicksburg. It stands tall where the fallen were buried, and will most likely outlive all of us. It is an awesome and enviable life form — strong, solemn, and steady, with its wild burst of color.